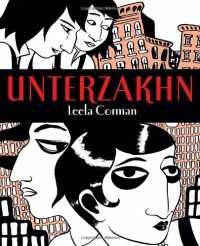 Unterzakhn tracks the lives of two sisters, Esther and Fanya, living in New York at the start of the 20th century. The twin daughters of Jewish immigrant parents, their lives take divergent paths. One enters a brothel, eventually becoming an actress, and the other trains as a midwife and helps perform illegal abortions. Time eventually reunites the sisters, though only briefly. Corman broaches a number of controversial topics, many of which center on women's reproductive rights, though her treatment of these issues is not extensive. Still, I did appreciate her willingness to explore these topics, controversial as they are, even though she didn't engage them fully. Her characters are, in turn, humorous, intelligent, decisive, naive, self-righteous, and pitiful - they are real. 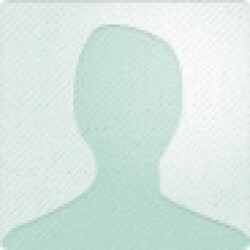 But they are also underdeveloped and major components of their individual plots are glossed over. Unterzakhn also has structural shortcomings. It opens with little in terms of introduction and ends even more abruptly. It often transitions awkwardly and haltingly from one section to the next, jumping to a different story line or era. This has an overall confusing effect and makes it difficult to fall into any rhythm. Various back-stories and tragedies are picked up, dropped, and forgotten with regularity. In short - it was all over the place. I liked the illustrations, which seem to be completely hit or miss for people. They lent the story an atmosphere that would have otherwise been absent. It's highly stylized, yet it's almost crude at the same time. I've read that the illustrations were styled after folk art, paying further homage to the immigrant experience. Knowing that, I think it was a smart stylistic choice. Did I love it? No. But historical graphic novels are hard to pull off. They can't all be Maus or Persepolis. But they continue to be a unique medium for telling these stories and visualizing the past.